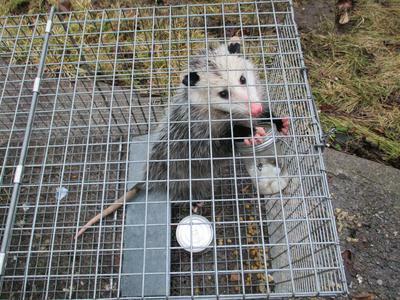 I found an Opossum caught in a trap set by our neighbour to get some raccoons. This was in Lakefield, north of Peterborough, Ontario. Thank you for sending us your picture - this little chap looks quite young. I hope your neighbour released him! Just saw a possum sitting beside the road. Didn’t realize they are here!